Collins Booksellers - I’m Sure I Speak For Many Others… by Colin Shindler, 9781473530836. Buy this book online. 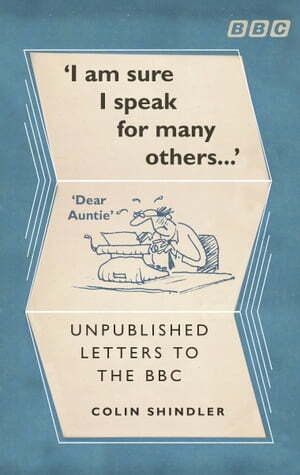 For anyone who regularly feels tempted to put pen to paper, I’m Sure I Speak For Many Others is an alternative history of the BBC, from its triumphant broadcast of the coronation in 1953, to that Tynan moment, the controversial That Was The Week That Was, and the groundbreaking Grange Hill. Stretching across over forty years of programming, these never before seen letters represent the joy, the fury and the wit of the nation.